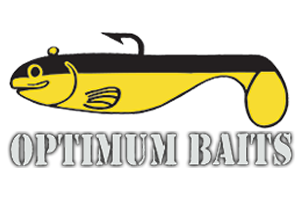 RB BASS is excited to announce its newest Sponsor G Ratt Baits, we would like to welcome them to our family of sponsors. G Ratt baits is known for making baits to catch the biggest fish! These baits are tried and true. They work, its as simple as that. So if your looking for that bigger than average bite! Ya might want to tie one on! Here is some details about their products! 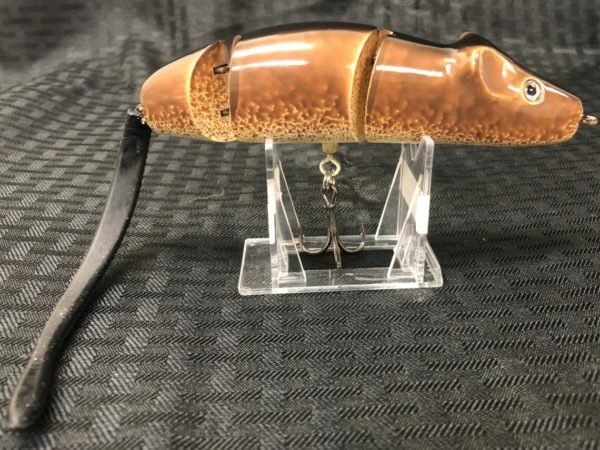 Product Description: The Kincanon Swimming Rat bait weighs 4.9 ounces and is 8″ inches of body plus 6″ inches of tail. A big fish wake bait. The bait has a very subtle and very realistic swimming motion. To swim the bait you make a long cast and slowly reel the bait for a realistic rat look. You can cast the bait past ambush points, down rip/rap walls and over submerged vegetation. If you twitch the bait, it will roll from left to right looking injured; that’ll draw big bites. This rat puts out a deep “knocking” sound due to our added weighting system. We’ve had customers tell us the deep knocking sound is key! 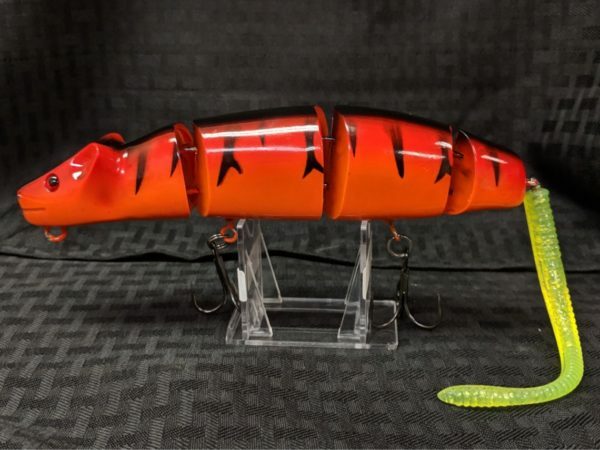 The soft rubber tail adds more action to the bait. The bait comes with size 1/0 hooks paired with heavy duty split rings. The hooks can be changed if desired. The tails on both rats are fastened with a center pin spring which allows the customer versatility of tails. Product Description: The Magic Mouse bait weighs 2.3 ounces and is 5 inches of body plus 5″ inches of tail. It is extremely versatile bait with a one hook design. The bait can be reeled slowly and will swim similar to our large rat. The bait is ambush style bait. We suggest to cast the bait around lay downs, under docks, rip/rap, shade pockets. The bait has a very loud “clacking” noise when walking due to our added weighting system. You can cast the bait into sparse primrose, duckweed, and other vegetation pockets. It is an all around fun bait to fish with, draws large and small bites. The bait comes with a size 1 hook paired with heavy duty split ring. Hook size can be changed if desired. The tail is fastened with a center pin spring which allows customer versatility of tails. You can add a split ring and trailer hook for a two-hook setup. 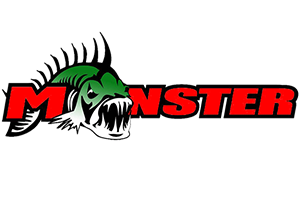 Product Description: The Sneaky Pete bait weighs 2.4 ounces and is a slow sinking bait. This is a very unique glide bait. You can slow retrieve it for a nice gliding action. You can swoop the rod tip for the bait to glide to one side and pause and swoop again to bring it back to the other side. A favorite retrieve is reel cranking it to make a very fast darting action back and forth like a fleeing baitfish. 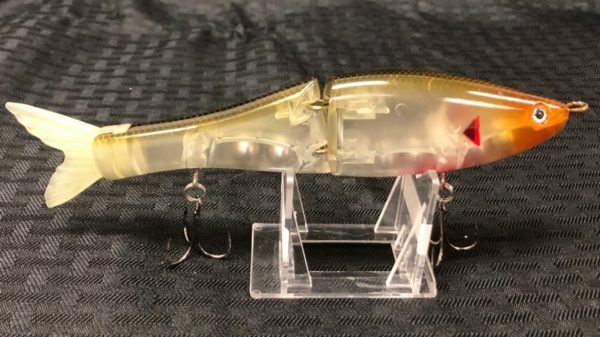 You can do little twitches of the rod with just the tip of the rod while reeling and the baits head will rock left to right which will imitate a swimming bait fish. The bait can also be “waked” on a slow retrieve when brought to the surface. It has a beautiful tight subtle rolling wake which we’ve found effective early mornings and late evenings. Our new weighting system adds a realistic rattling sound. This bait has a slow sinking ratio of 1 foot in 2-3 seconds. The Sneaky Pete comes equipped with two size 1 hooks. The hooks can be changed if desired. The tails are easily replaceable.